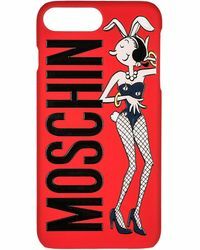 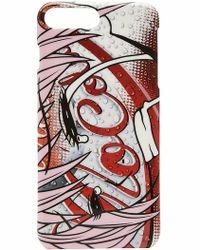 Moschino's signature sense of humor is prevalent throughout its cases collection. 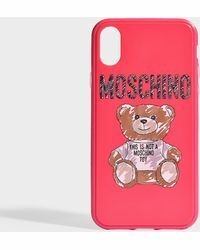 With a range that boasts everything from the statement slogan iPad sleeves to a selection of iPhone cases covered in food motifs and three dimensional teddy bears, whichever piece you choose it's sure to be unique. 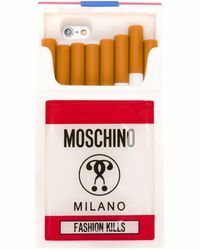 Add one to ythis collection today and never worry about someone mistaking their gadgets for yours ever again. 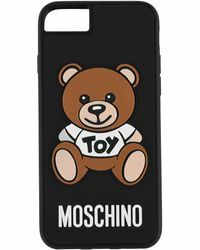 Cover Iphone 7 Plus "bimbo"